St. Andrew Preschool opened its doors in the Bryce Eck Activity Center in September 2008. St. Andrew Preschool serves as an introduction for young children to St. Andrew School and the surrounding communities. The preschool staff strives to honor, celebrate and nurture the growth and learning of each child by offering various opportunities to use existing skills and to develop new ones. St. Andrew Preschool focuses on the development of the whole child. The integrated curriculum addresses the developmental stages and processes taking place within the heart, mind and body of each child. Every child’s academic needs, social needs, moral needs and creative needs are supported while keeping in mind the teaching of Jesus, the Good Shepherd. 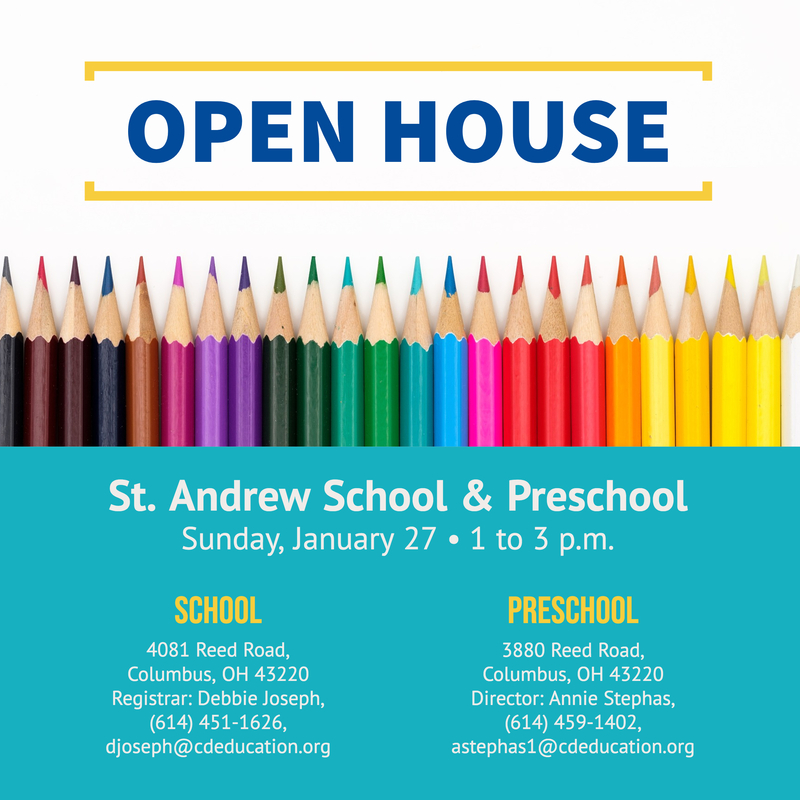 Classes are offered for 3- and 4-year-olds from 9 to 11:30 a.m. and the pre-kindergarten class meets from 12:30 to 3 p.m. Preschool registration begins in January in conjunction with the Open House. For more information about St. Andrew Preschool, its philosophy and programs, visit www.standrewschool.com/preschool.